I’m excited to feature this interview with Renée Adele Davis, MA, collective member of the Dandelion Seed Community Health Project, and cofounder of the Olympia Free Herbal Clinic and the Dandelion Seed Conference. She is an Associate Scholar with the Center for World Indigenous Studies, focused on ethnobotany and medical anthropology. She has previously researched herbal pharmacology for a clinical reference text on herb-drug interactions, and her recent graduate thesis explored the role of cultural plants education in healing cultural trauma in Salish tribal communities. It has been a true delight to discuss some of my favourite topics with Renée, and to hear her expert perspectives on creating radical social change, honouring cultural traditions, and ensuring a bright future for herbal medicine. Melanie: Renée, thanks so much for taking the time to chat with me. You have a very unique approach to herbalism, and I’m excited to discuss your perspectives on community herbalism! Your eclectic background includes studies and research in medical anthropology, ecological healing, and whole systems design. Can you explain how these separate fields all relate to one another and how they’ve shaped your approach to herbal medicine? Renée: Why, thank you! You do great interviews (and feature important questions), so I’ve been looking forward to this. Regarding these different areas of knowledge, there’s a method to the madness. It all starts with the observation that humans are doing completely unprecedented things to their bodies, other people, and other species. These disciplines and areas of inquiry–medical anthropology, environmental health, and whole systems design–offer language and insights that help us understand the unfolding story and empowers us to draft an alternative. How we understand and respond to these new evolutionary trajectories and technologies relies on the integration of currently disparate knowledge bases. Ultimately, I find the language and constructs of these areas extremely useful for understanding the human condition and illuminate new directions for integrative herbal medicine. My own interest in plants and human co-evolution began with my own experience of migrating to the Pacific Northwest from the greater New York area. Being in a greener, forested environment changed me. It altered my perception, expanded my awareness, transformed my social proclivities. I liked seeing how differently people in my new town (Olympia) interacted with their environment and one another, and was interested in how environments affect behavior. 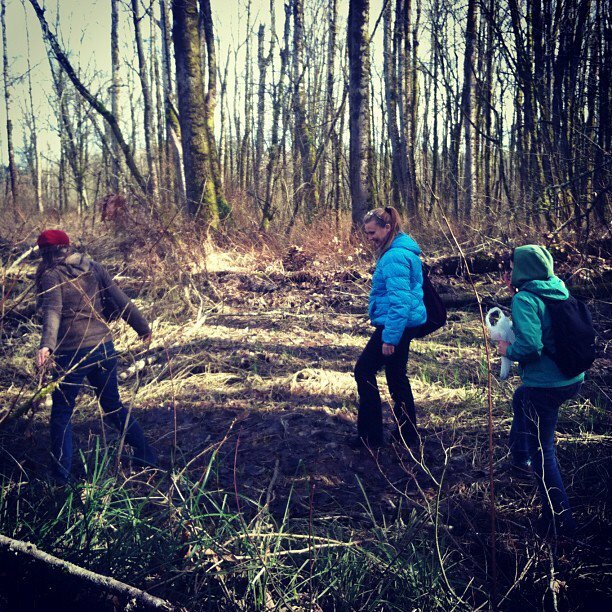 I became fixated on the broad social themes of environmental cognition and social behavior while studying with Marja Eloheimo, the ethnobotanist at the Evergreen State College (TESC), who introduced me to the plant history and lore of the region. She then connected me to herbalist Joyce Netishen, who would become one of my most important teachers. I spent years working with Joyce in a group apprenticeship about heart and Spirit-centered plant medicine. After I graduated from TESC in 2008, I joined the researchers at the Center for World Indigenous Studies on projects relating to traditional medicine and sciences and environmental diplomacy. My post involved analyzing and building policy frameworks, and as I grew in this position I developed a great interest and respect for the language and insights of whole systems design. It helps me consider aspects of complex systems such as scale, paradigms, leverage points, systems attractors and feedback loops. Simply put, I just understand it as the science of hacking. Social hacking in particular. The field of herbal medicine is vast, complex, and life affirming. It is humanity’s oldest form of medicine. The legacy of plants and humans in healing contexts spans hundreds of generations, and across all cultures. We’ve co-evolved with these plants–they’re an inextricably part of our bodies and identities. In the last few decades, technological developments have totally altered our bodies and ecosystems. We have new, deeper ways in which to intervene. And these interventions are risky because we don’t yet have a grasp on the complexity of the systems that we’re tinkering with. Sometimes, or pretty often, actually, our interventions are naïve and end up damaging adaptive capacities or spur unintended consequences. Now, I’m not anti-development, nor do I romanticize the past. I do point out that we’re moving forward in radical development as an entire species with fragmented understandings of health and ecological interdependencies. Medicine is decontextualized, the medical field is fragmented and led on a leash by corporate entities. I don’t see the reality of our ecological dependencies being considered as we’re designing future humans or plotting to colonize other planets. I don’t see much leadership from our healers on the biggest questions humanity has ever faced. Medical practice and health care should be proactive instead of purely reactive. Who’s in the driver’s seat here? It’s not just an ethics issue–it concerns our evolutionary trajectory. Herbalists—as those who stand at the nexus of humans and nature, and weave together traditions of the past, applications for the present and innovations for the future—have not only a unique viewpoint but a responsibility to consider and respond to these issues. We carry a big part of humanity’s legacy. Herbalism is also a dying art. Much knowledge has been lost over the last few centuries. And it’s currently pigeonholed into quaint cutesiness, with knowledge dissemination largely left for marketers. I think there’s a great deal of unrealized potential with herbal medicine. And that’s why I’ve pursued these areas of knowledge. They reframe some of our most pressing issues and point a new way forward. Melanie: The separation of plants and humans is quite pervasive, and as you point out, significantly recent. You paint a beautiful picture of herbalists as the unifying agents between plants and humans, which has massive potential for personal, social, and ecological healing. The Dandelion Seed Conference that you co-host has a strong emphasis on social change and community herbalism, and offers some very unique and innovative classes, such as using herbal medicine to support transgender health, as well as employing herbs to assist with recovery from trauma and addiction. Have you found that your conference is succeeding in reaching a demographic that would not otherwise be included in the herbalism community – either through participant attendance, or through the work that herbalists attending the conference become inspired to pursue? Is expanding and diversifying the audience and participants of herbal medicine part of the mission of your conference? We’d start by noting that this is only our second year hosting the Dandelion Seed Conference. Our first year’s conference was wonderful. Most of the presenters were drawn from the communities that the conference organizers are directly a part of, and while it was inspiring and a big success, we, the organizers acknowledged that it showcased a lot of very similar voices. In our second year hosting this annual conference, we have put a lot more energy into reaching out to communities that we are not actively involved in to include a wider range of perspectives, and to be more inclusive of herbalists who are not white, straight, and/or financially privileged. Traditions of herbalism span the globe and include herbalists of different races, ethnicities, and cultures. A diversity of cultures, races, and ethnicities are practicing herbal medicine and have kept the many, many varying herbal traditions alive. 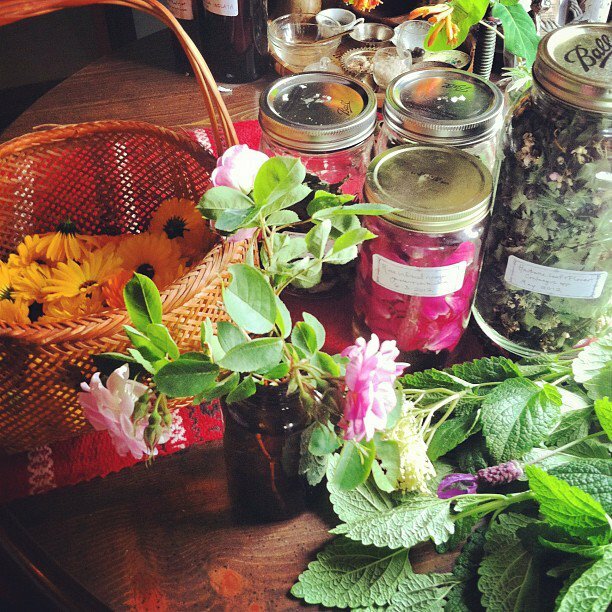 It isn’t a question of reaching more people, or trying to get more diversity into herbal communities–it’s a matter of acknowledging the voices of all herbalists, of acknowledging the work that is already being done. Modern western herbalism is one of many ways of herbal practice, and even within modern western herbalism, only certain voices are often heard. There has been a lot of talk about the last forty years being an herbal renaissance. Let us not forget that despite widespread environmental degradation and genocidal campaigns that target traditional practices, most people in the world continue to use plant medicine. For many people, especially communities that have not been the recipients of wealth in capitalism, there has been no herbal revival because plants have always been relied on for medicine. Western Herbal medicine has developed in the context of a white supremacist, sexist, ableist culture, and every one of us is losing something when we ignore this dynamic. We must take a close look at aspects of herbal medicine and culture that have been shaped by the dynamics of oppression, including cultural appropriation, binary gender essentializing, and classism within herbalism. When we hear and understand each others’ individual experiences, when we are humble and open to learning from each other, when we connect with our own histories and understand the stories that inform our relationships with each other and with the plant world, this work we do reaches its full potential. So, in answer to your question, I would say that a large part of our mission is not necessarily expanding the audience and participants of herbal medicine, but to acknowledge and bring together the diversity of herbalists who already exist. I believe we are certainly succeeding in this mission, and in our goal to create a space where herbalists of many persuasions can hear from each other. Melanie: Wonderfully said – acknowledging and including the diversity of existing herbalists challenges the stereotypical caricature of the Western herbalist, and brings visibility to the many varied practitioners of plant medicine. Some of the teachers you’ve studied with have used medicinal plants in unique capacities, such as working with herbs to heal cultural wounds, cultivating ecological health through herbal practice, and using herbs to strengthen our connection to stories and place. How can these dynamic and innovative applications of herbal medicine be applied to create radical social change? Renée: Mel, you ask the good questions! The big idea here is this: our relationships with plants (and subsequently place and history) weaves meaning in our lives and can help restructure our experiences. Herbal practice helps restore a community’s social and ecological fabric. My first exposure to this was at the Center for World Indigenous Studies. Rudy Ryser and Leslie Korn, the researchers that direct the center, excel at advancing indigenous sciences (such as traditional medicine and ecological knowledge). Through working with them, I began to understand that tradition and innovation are false dichotomies. Understanding my own progressivist psychological assumptions at the time (the notion that “things are getting better all the time”) helped me reframe innovation in the context of current socioecological challenges. When it came time to start my graduate thesis, I wanted to explore this more deeply. Can plants and ethnobotanical education affect community change? Why? How? I have my inclinations that plants are great and good for people and communities, but I wanted to challenge them. Are these approaches (community herbalism and ethnobotanical education) better than what’s currently utilized to address public health issues? I wanted to know where the rubber met the road. Again, I have my inclinations and proclivities, but I’m ultimately a pragmatic person. I want what’s best for people & communities. And I wanted to know if this community herbalism thing was really full of soup or not. 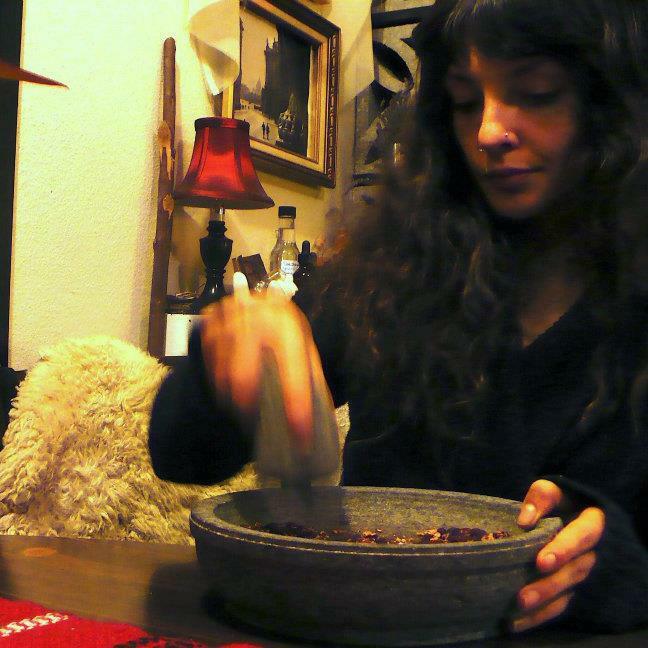 I started working with Elise Krohn, an herbalist who’s helped carry cultural plants education in Salish tribal communities for nearly a decade. I knew of her work for some time, as she also studied with Joyce Netishen and Rudy Ryser, and have a great deal of respect for her. She runs a cultural plants education program at the Northwest Indian Treatment Center (NWITC), a chemical dependency center that utilizes native ways of knowing as a model for the recovery process (as opposed to a 12-step program with an Indian add-on). At NWITC, plants are a vital part of healing. Through learning about and integrating traditional foods and medicines into their lives, they are empowered to reconnect with their ancestry & cultural heritage. And this helps heal the cultural wounds that provoke some of the health issues affecting these communities (such as diabetes). In NWITC, herbal education and practice brought people together in a few different settings–through learning, foraging, and celebrating together. This social bonding is an important component of healing. When we’re connected with others, we have less stress. Much research has been done on social isolation, stress, and chronic health conditions. I think this dimension of health is crucial. From my point of view, narrative was an important element. In my thesis I focused on diabetes in Salish tribal communities. Now, at any given point, there are different understandings, explanations, and narratives of disease (especially in multicultural settings). What biomedicine understandings as the etiology or cause of diabetes is not shared by everyone. For others, generations of violence, abuse, and oppression may be the cause. So if you have, say, a diabetes prevention and treatment program that’s rooted in a biomedical explanatory model operating in a community that doesn’t share that perspective, you’re going to miss the mark. So narratives on health and disease are crucial to consider in community and public health interventions. And clinically, I think this can be a potent leverage point for healing. And our connection with plants and the natural world gives us new connections, new metaphors, new understandings—it opens our eyes and offers new doors to walk through. And this is powerful. In this sense, plants go beyond the physical realm. Transformation occurs on emotional and spiritual levels through connection to ancestry and cultural roots, present social communities and ecological realities. It puts us on a different trajectory of healing. Plants can do nifty things chemically and biologically. And there’s so much more meaning. Melanie: So reestablishing and nurturing our connection with plants creates a unique opportunity for social bonding and a venue for personal transformation, not only by healing the physical manifestation of our wounds, but also by connecting to the emotional and spiritual anchors that keep us rooted in illness. Beautiful! I’m very interested in the ways that herbal practice can help create more sustainable health care, rather than simply serving as a harm reduction version of allopathic medicine. 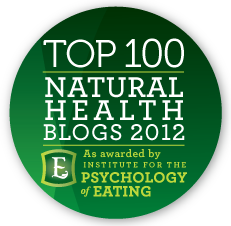 You’ve mentioned that you foresee a new model of herbal practice and education emerging. How do you think this will manifest, and what kind of impact could this have on our communities and the world? Renée: Goodness. Being asked this question is like a dream come true. The way I currently understand it, Western herbal medicine draws from a few explanatory models of health and illness. While it’s helpful to have many ways to view a particular situation, at some point it can confuse our understanding and subsequent therapeutic strategies. I am, admittedly, a structure and model-oriented person. And while I’m not out to devise or advocate for one working model of herbal practice, I do think we can have a better way of understanding herbal medicine. Recently, at the Herbal Resurgence Rendezvous in Mormon Lake, Arizona, James Snow gave a stunning lecture on relational physiology for herbalists. 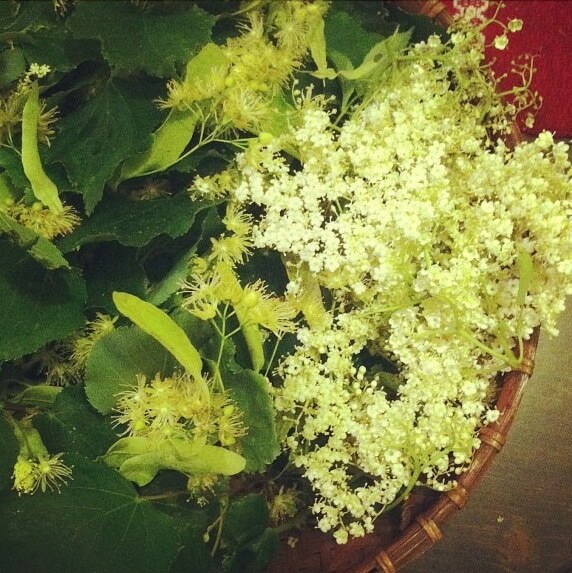 He stated that the last thing we need is another herbal–what we need is a better way to integrate the information. That was pivotal in my understanding on how to move forward in herbal medicine. conservation medicine/ecosystem approach to health: understanding and considering the interdepencies of human, animal, and environmental health. This is fundamentally recontextualizing frameworks of health and disease. As a practitioner, I get whiffs of how this can change herbal practice. When I consider these other dimensions of a person’s healing trajectory (which can take some effort, as people don’t typically bring these to the forefront in a consult), I can start to glimpse what nurturing their own resilience and self healing mechanisms. They can’t be understood in isolation. I think our goal as practitioners is to ultimately empower the inherent fitness and adaptive qualities in an individual instead of, as you said, practicing a harm reduction version of allopathy. So it just makes me a wiser practitioner, more aware and less likely to commit any naïve interventions. Again, I don’t want one model for herbal practice. But I’d like herbalists to pioneer a better model for medicine. I think this’d inspire genuine systemic change. Functional medicine is a solid step forward for biomedicine. 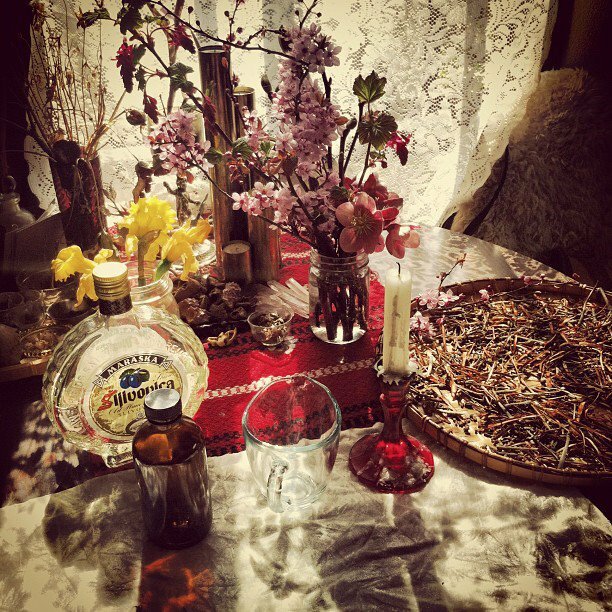 What’s next for herbalists? For me, ultimately, culture change in health care and medicine is the grand prize. 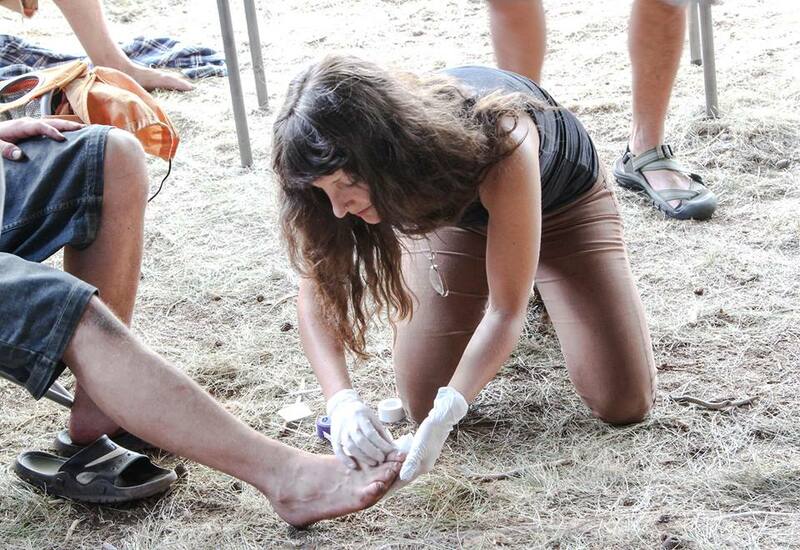 Our healers can have such a positive, thoughtful influence on the evolution of the human species in the Anthropocene. But again, our medical and healthcare systems are so broken, so deeply entrenched and enslaved to corporate interests. I’d love to see a deep culture shift within my lifetime, and for new voices & leadership to emerge for health justice. Melanie: That’s genius: unity amongst herbalists through a better model for medicine, yet continuing to celebrate and honour the diverse methods and models for herbal practice. I would also like to see a spiritual dimension to this new model – one that encourages us to tap into our inner ways of knowing and healing. Your research has helped you understand the impact of cultural beliefs on health and illness. We’re currently in an unprecedented experiment with integrative medicine, where many cultural traditions, diagnostic techniques, and treatment strategies are being extracted from their traditional context and applied in a brand new “integrative” context. Perhaps this could even be considered a form of ethnobotanical innovation. How important is it to employ cultural brokers through this process, and how can practitioners ensure that they are not simply appropriating cultural references? Renée: Such a seeming paradox, right? How do we promote integration and synthesize while preserving the integrity of cultural traditions? Well, trees don’t grow one way. To lengthen branches and reach skyward, they grow & strengthen their root systems. I think the (now somewhat out-of-style) metaphor of the melting pot is infantile & wreckless. I’m very concerned about diagnostic and treatment techniques being appropriate and used out of context. (Context is such a big part anyway!) I’m also concerned about the implied or assumed connotations of homogeneity in integrative approaches. So how do we manage that as practitioners and educators? I don’t have a neat answer, as this is probably one of the most grey areas Western herbalists will encounter and navigate. This will have to be an evolving conversation, and the standards of cultural competency will need to be established & maintained by the herbal community. In terms of healing traditions, there is a lot of information that’s private and for members of that community only. That’s cultural property, and those communities get to dictate how (if at all) that information is shared. Then there’s information that is clearly from a particular culture or community, but is shared in the public domain. That’s where educators and cultural brokers can help preserve knowledge of context and cultural background. Again, I think standards of cultural competency will have to be set and maintained by the herbal and integrative medical fields. I don’t know of a structure or process that would ensure it otherwise. Traditions are carried through time and evolve. That keeps it living. I don’t advocate for the romanticisation the past or the fossilization of traditional practices. But when our roots are strong, we can stretch to great heights. And I think dialog in the herbal community is the way to evolve this important perspective. There are some great conversations happening, especially around healthcare access, cultural appropriation, systemic oppression, and ecological resilience. That’s the way to move forward. Thoughtful consideration, dialog, and self-regulation. Melanie: Yes, respecting cultural property is so crucial, and yet these important boundaries are so often neglected, ignored, or exploited. I can definitely appreciate the role of teachers and cultural brokers for preserving knowledge, but what about for interpreting cultural information that resides in the public domain? For example, does cultural information begin to lose its accuracy and relevancy as it gets disseminated through Western teachers and practitioners? Where are the ethical boundaries between studying a traditional cultural healing modality versus attempting to reproduce or implement a portion of this information as a simplified, Westernized, or sanitized version of the original cultural tradition? Ayurveda and Traditional Chinese Medicine (TCM) are two traditions that come to mind: for example, isolating one diagnostic technique such as tongue or pulse analysis from its original traditional framework, and then applying and teaching this technique in a brand new context that is not historically or culturally relevant. The analogy that comes to mind is similar to that of Westerners always hunting for new, exotic herb that they can tout as a panacea. Can the same be said for cultural practices and diagnostic tools? Renée: Absolutely. Much is lost in translation and separation. Context, especially cultural context, generates meaning. And we do lost accuracy & relevancy when systems are fragmented and repackaged. Especially when it comes to diagnostic models. The context is probably different. Peoples’ physiologies are different. How do we account for that? The onus will be on practitioners to be clear with themselves and their audience, for educators to maintain the integrity of a system’s cultural context, and for the herbal community at large to set and maintain standards of knowledge and practice; it’s hard to be eclectic with systems like TCM and Ayurveda. For me, this comes up consistently when trying to understand a plant’s historical use and lore. In writing monographs, I try to present the most complete story about a plant. I try to create connections between various ways of knowing other life, and tell a story of human’s knowledge and relationship with it. But with lore, I struggle the most. How can I really analyze and communicate a legend or myth concerning a plant without understanding the complete cultural context? This is where it comes up the most for me: understanding a plants’ use in a cultural historical context. Melanie: So then, it all comes down to respecting and honouring a tradition’s cultural context, while also upholding personal and professional standards of integrity, knowledge, and practice. You’re a collective member of the Olympia Free Herbal Clinic, which is a non-profit organization. Can you describe the kind of services you offer, as well as how you manage to remain self-sufficient? What would you say to someone interested in starting a free herbal clinic? Renée: Absolutely! Our nonprofit is the Dandelion Seed Community Health Project, and the Olympia Free Herbal Clinic is our main program. We are located in downtown Olympia and are open Monday through Friday, from 5-7p. We’re sliding scale, starting at free. In addition to the Dandelion Seed Conference, we also do workshops in the community, which have included the Evergreen State College, immigrant advocacy organizations, women’s prisons, and other community organizations. 1. How well do you know your community and present needs? Any community effort should start with a needs assessment. Sometimes, herbs are not what is most needed. As Larken Bunce said, we all have these beautiful herbal hammers, but not everything’s a nail. As we move from a charity model of social justice work to one focused on activism and allyship, sometimes being an ally requires something other than community herbalism, and it’s important to be present with that reality. To quote my mentor 7Song, “we’re healthcare practitioners first, herbalists second.” So start with the needs in your community, and build from there. Beware the herbal hammer! 2. Why do you want to start a clinic? What questions are you answering? What curiosities are driving you? Trust us, it’s hard work, and having clarity in your personal purpose will make the experience rich and rewarding. 3. What kind of model would you utilize? There are consensus-based collectives, worker-owned collectives, traditional nonprofits, and the school+clinic setup. I’d recommend carefully researching organizational structures. When you build an organization, you really want the shoe to fit. 4. Be consistent and dependable. When you start a community project, it takes a while to build a reputation of credibility, as so many arrive and quickly fizzle. But once you stick around and maintain consistency, people expect you to be there. They start to plan around your presence. And if one day you’re not there, or you break your promise, you have to recognize that it can be harmful. If you say you’re going to be there to help, be there. Don’t flake. 5. Funding will probably be a closed loop, and will likely come from donating clients and allies in the community. There are extremely few grants out there for this work, and being a nonprofit doesn’t make things much easier. And at a certain point, it’s really hard to stock an apothecary on donated product. (Trust me.) However, it does make you a stellar problem-solver and creative formulator. And I’ll share some of my present questions, as I’m a curiosity-driven individual. And as I grow I come up with new and (hopefully) better questions. Is a free clinic the best way to address health disparities? Sometimes the virtue of access makes the organization feel like a transformative force. Other times, it feels like a band-aid solution, somewhat reactionary. Ultimately, I’m happy and honored to provide services to people who may otherwise not have access to this type of practice. But can we be more proactive and prevent health disparities instead of just responding to them? What would that actually look like? Yet, at the end of the day, someone has to do the work if we’re to take care of one another. And free clinics are the pillar of the health care safety net. How are we affirming a client’s value and resources in the community when we don’t ask for anything in return? Is ‘free’ harmful by suggesting that people have nothing to offer? Or is free liberating, as in not only financially free, but free from judgment & shame? It’s interesting to ponder, and is probably not an either/or issue, but means different things for everybody. But I think it’s important to consider. I know other clinics are looking into a time bank model of exchange, and this seems like a positive step forward. Ultimately, I want our free clinic to be an empowering experience for everyone and spend a considerable amount of time pondering this. Melanie: Brilliant! Those are extremely thorough and practical guidelines, and the questions that you raise are very important and pertinent. Excellent food for thought for those considering moving in this direction. Where can everyone find out more about the Dandelion Seed Community Health Project, as well as information on how to attend the upcoming Dandelion Seed Conference? I love what you have written here . Wow, what a great piece. You are both such clear thinkers and all the subjects you have touched on are so utterly exciting and extremely relevant. I’m a fresh herbalist in Australia, and all of these issues affect us equally, just in a slightly different way, and I cannot thank you enough for blazing the trail of what I also deeply hope to be herbalism’s future. Renee, I really think you encapsulate the scene when you say “I don’t advocate for the romanticisation the past or the fossilization of traditional practices. But when our roots are strong, we can stretch to great heights. And I think dialog in the herbal community is the way to evolve this important perspective”…..it’s so absolutely true!! Traditions are innately fluid and our generation of herbalists are its weavers, the danger is being distracted by the bright lights of mechanising and marketing whilst the heart of soul of our tradition slips away. These sorts of discussions and the work that you both do are breathing a life force into this reinterpretation of tradition. Thank you for filling my morning with a swell of inspiration! So glad you enjoy the post Clara. Thanks for sharing your thoughts. I’m not sure if Renee’ will read this or have time to comment, but I was reading this very insightful interview and it touched on some thoughts I’ve been having lately about cultural context and ancestry. Please note that I have only been studying herbs for a few years, and am mostly self-taught, so while I’ve been exposed to a lot of different ideas I haven’t really been in a place to learn from someone more advanced who can help me put the puzzle pieces together. Anyway, I think it’s tremendously important to respect the singular cultures behind traditional healing modalities, and am distressed by a lot of the picking and choosing that less sensitive Western herbalists/healers are doing these days. But I’m also distressed by something that you’ve summed up so eloquently: “Western Herbal medicine has developed in the context of a white supremacist, sexist, ableist culture…” For those of us who are white, of European ancestry, American (even worse, since our entire country is built on the backs of someone else’s land and life) where do we look for our own authenticity and cultural context? (And I hope that question comes across with the sincerity and honesty I intend, without any of the stink of “But white people have rights too!” that is just thinly veiled racism.) How do we fashion a new Western, non-allopathic modality without it being a Frankenstein’s monster of borrowed TCM or Ayurvedic techniques to fill in the holes of our broken tradition? How do we find and honor our heritage without perpetuating the aforementioned supremacist/sexist/ableist culture? Do we invent something new out of whole cloth, do we look back to Paracelsus or Thomson or the Eclectics…where do we go? To whom/what do we look? What are our foundations? How do we build the future if we don’t even really have a past? It all feels so fragmented. While we may not feel a strong cultural grounding in contemporary Western societies, it’s still there. We may have to work more to gain clarity and insight about our ancestry & cultural heritage, that foundation’s available to us. Wow! This is very interesting! I have been learning herbs for a long time but in the last 6 months I have been seriously learning and helping friends. 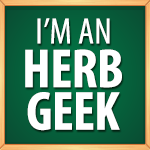 I do notice something distinctively missing in the community of herbalist. Lack of different people and a environment of seemly secret people (make sense). I am a messianic jewish woman of afro/spanish background who is also from a 5th generation family of deafness who also “speak” american sign language. Access to small classes has been hard because of being hard of hearing and lack of interpreters but I find I am learning so much through blogs such as this. The links you provide regarding other herbalist has been wonderfully helpful. Thank you for such a wonderful interview. Take care, and I hope you keep enjoying our articles! Thank you for your insight and affirmations! Incredibly beautiful and articulate. I would be very interested in hearing some elaboration on what y’all think it looks like for herbal educators to maintain the integrity of a system’s cultural context, and what does it mean in practice for the herbal community to set and maintain standards in relation to this? For example, I’m in a program that incorporates Traditional Chinese Medicine into our curriculum, but it’s a Western herbal medicine school. Also I have had to confront cultural appropriation in many different contexts lately, but on the very first day of my herbal medicine class I kind of brought up the topic when I asked what the teacher means exactly when he says “Western” herbal medicine and the ensuing conversation was..shall I say less than inspiring, however necessary. So, I guess my other question is what are ways that we as herbalists can bring up these topics of conversation in ways that create discourse and not defensiveness? How do we acknowledge our relationship to place and the origins of our knowledge in our practice? And How do we relate to native plants and naturalized plants in decolonized ways? It hurt me to hear my teacher nonchalantly mention in passing that Thomson supposedly studied plants with a Native woman from an unspecified tribe and didn’t record her name. He began the class with a lengthly explanation of creating safe space for self-identified and non binary genders, but creating safe space for indigenous folks and people of color was not mentioned at all, (go figure, it’s a very white class) until I brought up the question of what we consider to be the “west,” which I think often fails to acknowledge WHERE we are and tends to erase the influence of native people on herbal medicine and our collective history on this land.